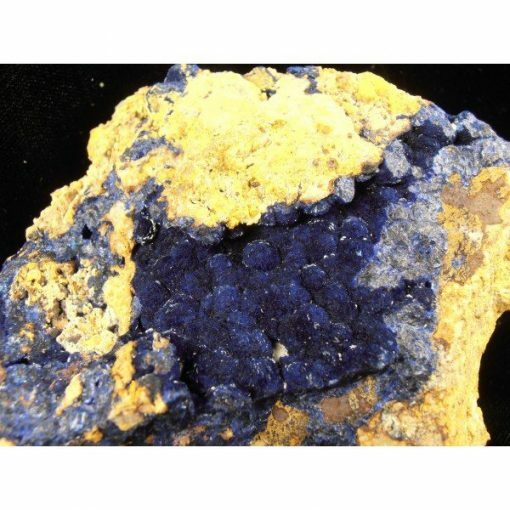 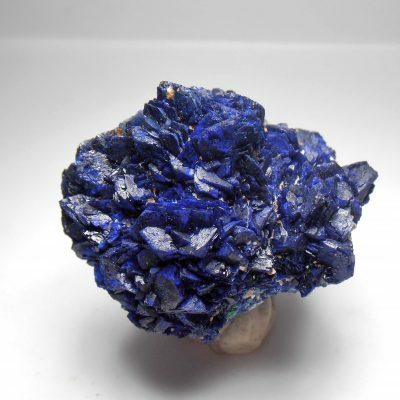 This Azurite crystal specimen is from the Phelps Dodge mine in Morenci, Greenlee County, Arizona. 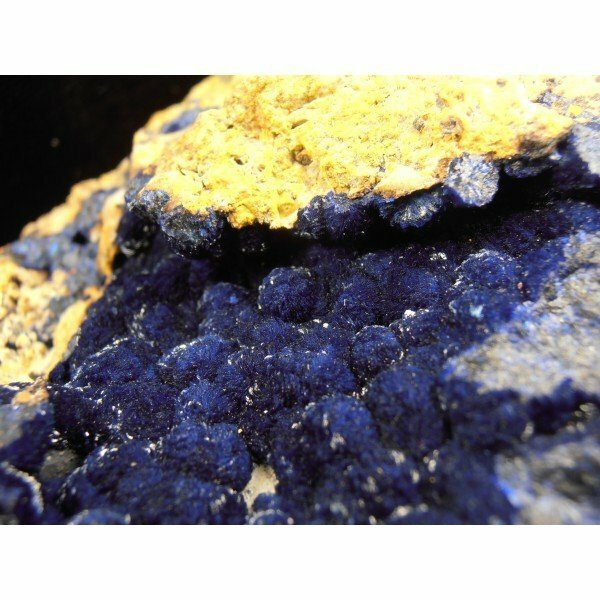 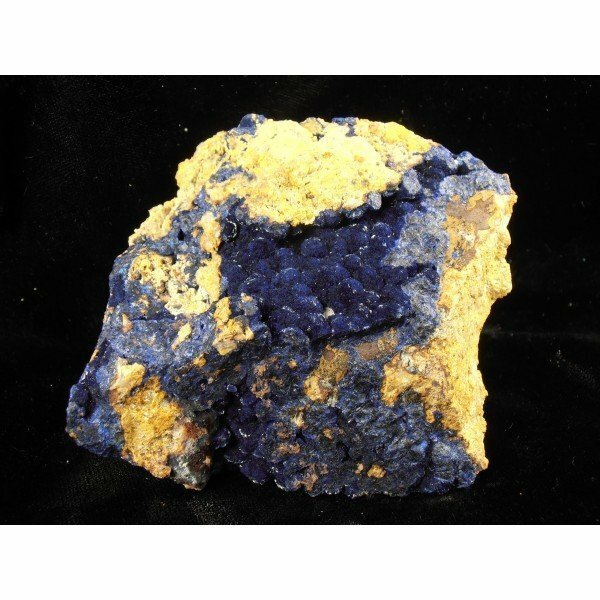 This piece consists of a breccia matrix cemented and vug filled with Azurite crystals. 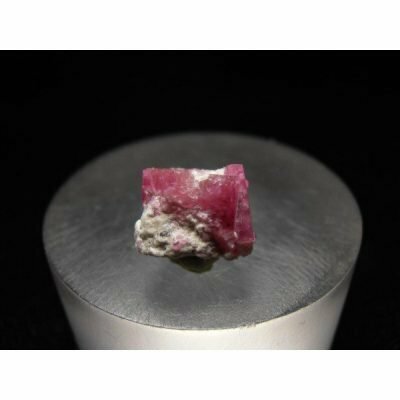 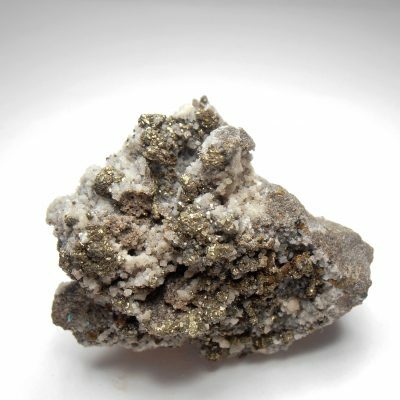 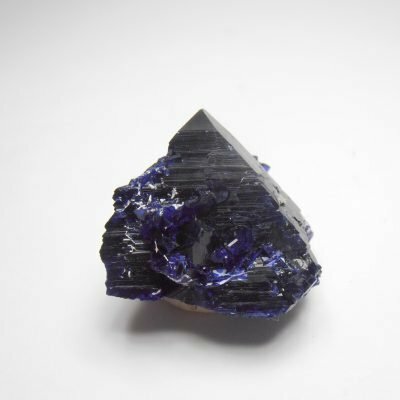 The crystals are in bladed accicular hemispheres and have a Prussian blue color. 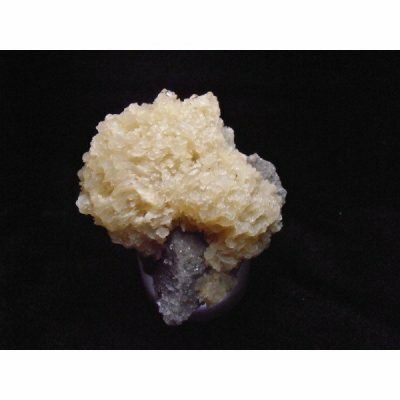 This piece measures 4 x 3 3/4 x 1 3/4 inches or 10.2 x 9.5 x 4.5 cm.